Read the following statements and see how many apply to you in a significant way. 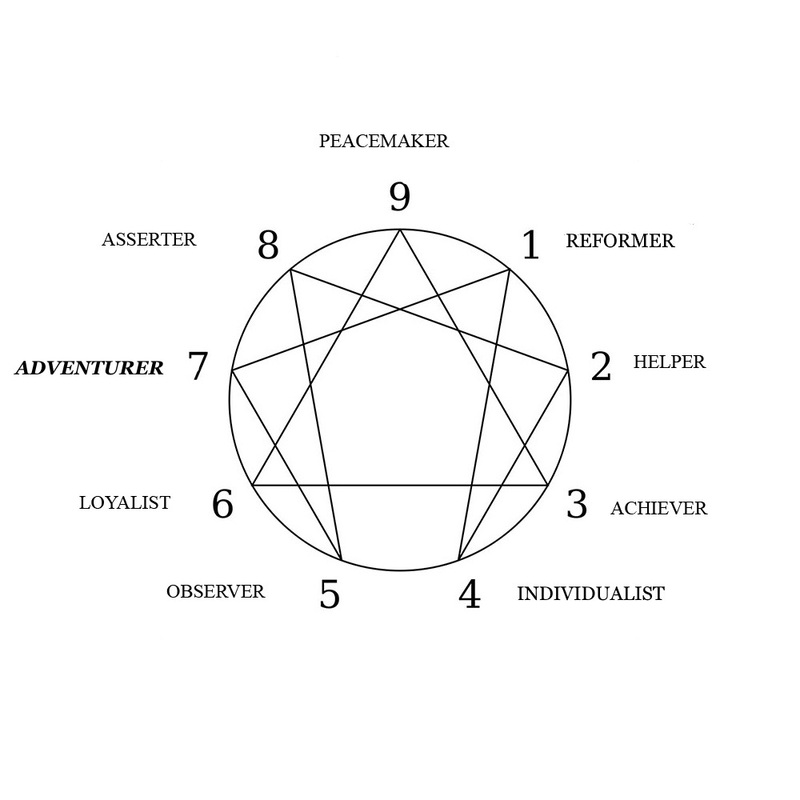 The more statements you agree with, the more likely you are a SEVEN – the ADVENTURER. I seem to be less suspicious of people and their motives than other people are. There are very few things in Iife which I can’t enjoy. I wish other people were more light-hearted about things. I like other people to see me as happy. I usually look on the bright side of things and don’t look for the negative side of life. I like almost everyone I meet. I like to think of myself as a childlike, playful person. People say I’m often the life of the party. I like to consider the cosmic ramifications of events, the universal importance of everything that happens. My theory is: if something is good, more is better. I don’t think it’s good to be sad for too long. I like to “”savour” life. I tend to be very enthusiastic about the future. Most of the time I avoid getting into really “heavy’ issues. I tend to jump from one thing to another rather than go into anything in depth. 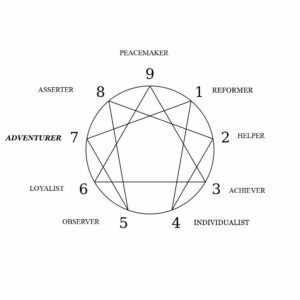 If you found yourself agreeing with many or most of these statements, then you might consider that the SEVEN type is your preferred position, especially if you identified with the descriptor on the previous page. If this is so, then click here to proceed. Otherwise, click here to visit the next type. Or click here to return to the summary page.